FINCHVILLE, Md.- State police have arrested a suspect involved in shooting at a trooper during an attempted traffic stop. 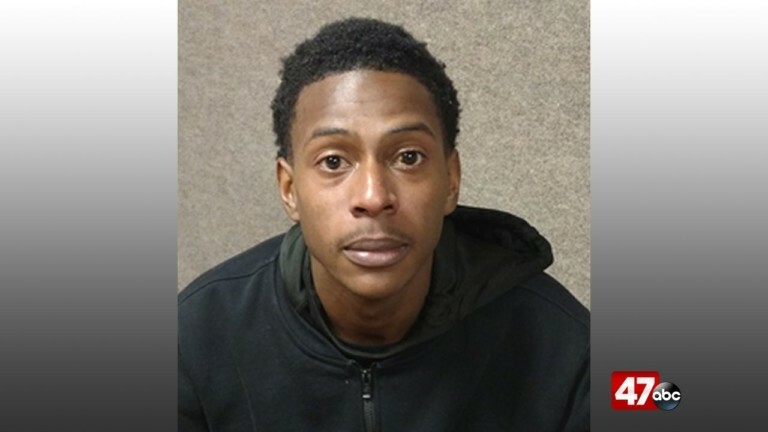 On Tuesday, 20 year old Isaiah Peppers of Magnolia, Delaware was arrested in Hampton,Virginia. On January 11, 2018, Maryland State Police say they tried to perform a traffic stop after Peppers was seen speeding. Investigators say Peppers refused to stop and reportedly fired several shots hitting the trooper’s marked Ford Explorer multiple times. Peppers is being charged with multiple crimes including attempted first and second degree murder, first and second degree assault, illegal possession of a firearm, possession of a firearm by a felon, use of a firearm in the commission of a felony violent crime, eluding uniformed police by failing to stop, and other criminal and traffic related charges. FINCHVILLE, Md. – Maryland State Police are searching for a car and its driver after shots were fired at police during an attempted traffic stop in Dorchester County. According to police, the shooting occurred late Friday night after troopers from the Easton Barrack attempted a traffic stop for a speed violation in the eastbound lane of Route 392. Police say the driver fired several shots out of the driver’s side window, striking the trooper’s marked Ford Explorer several times. The driver continued to flee, reaching high rates of speed. The car is reportedly described as a gold 2002 Oldsmobile Alero with Delaware tags. The Delaware license plate number is 186063. According to reports, state and local police are actively searching for the car and the driver. Police believe the driver was alone in the car at the time of the shooting. The car was last seen traveling eastbound on Route 392, east of the Finchville light towards Delaware. Reports say Trooper 4 from the Maryland State Police Aviation Command responded to assist with locating the car. Crime scene analysts from the Forensic Sciences Division responded to the scene to collect evidence. No one has been arrested or charged with any crimes at this time. This case remains under investigation, and police ask anyone with information about this incident to call the Easton Barrack at 410-822-3101.